Here at last the beginning of visual mastery of the Irish Sea. 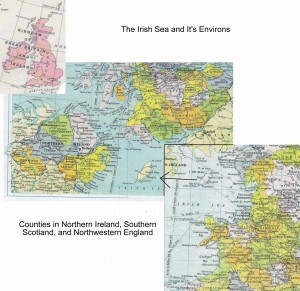 These color maps do not include the eastern Irish counties also affected by the Irish Sea environment. Still looking for those counties in a map we can reproduce on this blog. * PS. Webmaster Kathryn here – when you click on it, your browser may “fit” it in the window. You can click again for a full size that you can scroll to read names.